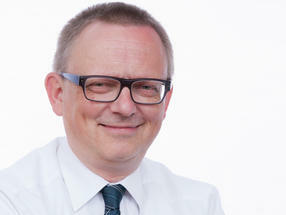 Christoph Jansen, born in 1962, studied chemistry at the University of Cologne and received his doctorate there from D.O. Hummel in instrumental analytics. He was a founding member of the association “Angewandte Spektrometrie Köln e.V.” (Applied Spectrometry, Cologne) and worked as an application chemist in the division “Analytical Instruments” of the company Bio-Rad. After moving on to Büchi, NIR spectroscopy became his focus. For a few years, he left instrumental analytics to join a filtration company, Filtrox, where he organized their access to the chemical, pharmaceutical and biotech markets. In 2010, he returned to instrumental analytics and has since served as divisional Key Account Manager at Mettler-Toledo Analytical. Jansen specializes in what systematically improves laboratories, including “lean lab” and data integrity. He also engages in scenarios of what future labs will look like. As an analytical chemist, he attaches particular importance to expressing himself about the complex issue of digitization in a way that anyone can understand.